We all know “unity” is a biblical concept. We know Jesus prayed that we all “may become perfectly one” (John 17:23). But in the grand scheme of things, many of us seem to rank unity as a pretty low priority. “It would be nice,” we tend to think, “but until ‘all those people’ get their act together, it probably isn’t going to happen.” I would suggest unity needs to be a far greater priority than many of us have treated it and here’s why. “I do not ask for these only, but also for those who will believe in me through their word, that they may all be one, just as you, Father, are in me, and I in you, that they also may be in us, so that the world may believe that you have sent me. The glory that you have given me I have given to them, that they may be one even as we are one, I in them and you in me, that they may become perfectly one, so that the world may know that you sent me and loved them even as you loved me” (John 17:20-23, emphasis mine). Think about that for a second. When believers cannot get along with one another, it prevents the world from believing in Christ. If you want the world to hear and believe the Good News, then one of the things you MUST do is be “eager to maintain the unity of the Spirit in the bond of peace” (Ephesians 4:3). It’s interesting to me that occasionally I will hear Christians say that the Greek word “ekklesia” (which we translate “church“), means “called out.” This, of course, would imply separateness. But the definition of words must be determined by how they were actually used, not by their etymology. The word “ekklesia” was not used to emphasize separateness, but togetherness. The word “ekklesia” means “gathering” or “assembly.” It is about individuals being called together. Yes, of course, we are coming out of the world, but that is not the emphasis of the word. The word emphasizes our being brought together under the banner of King Jesus. 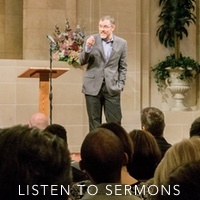 When we think of “church” being about separateness, then we tend to think it is a good thing to separate ourselves from everyone with whom we disagree. Ironically, the word “Pharisee” means “one who is separated.” The emphasis needs to be put back on togetherness, rather than separateness. We do not create Christian unity. Unity was created when, “in one Spirit we were all baptized into one body” (1 Corinthians 12:13). But even though we don’t create unity, it is our responsibility to eagerly “maintain the unity of the Spirit in the bond of peace” (Ephesians 4:3). Be humble. Be gentle. Be patient. Bear with one another in love (Ephesians 4:1-3). Hold fast to the word preached by the apostles (1 Corinthians 15:2). Remember that the death, burial, and resurrection of Jesus are the matters of “first importance” (1 Corinthians 15:3). Do not quarrel over opinions (Romans 14:1). If you are strong, “bear with the failings of the weak” (Romans 15:1). Maintaining unity is relational and it is doctrinal. We must be humble, gentle, patient, loving, and kind. And we must be unified in doctrine. We must only teach as doctrine what is truly taught by the New Testament. Anything beyond that is “opinion” and speculation; we can certainly discuss our opinions, but we must not quarrel and divide over them. None of this is to say that we should overlook sin or rebellion. And it’s certainly not to say that everyone who claims to be a Christian is actually a Christian or that biblical doctrine should ever be overlooked or dismissed. 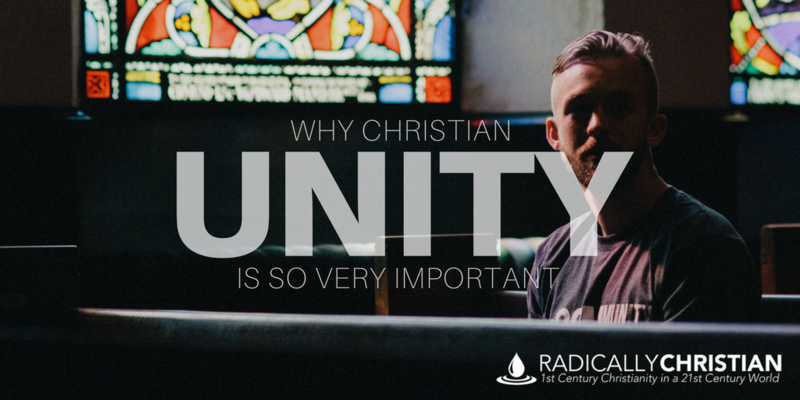 This is simply to say unity MUST be one of our highest priorities, because it is a testimony to the deity of Jesus. Too often we have the attitude, “I’d rather be right by myself than wrong with you,” when we should have the attitude, “I’d rather be right with you and I’m going to do everything in my power to make sure that happens.” Where we’re already together – unified in Christ – let’s stick together. And where we’re divided, let’s figure out how the Gospel of truth and grace can bring us together, so that we can be one – even as the Father and the Son are one.